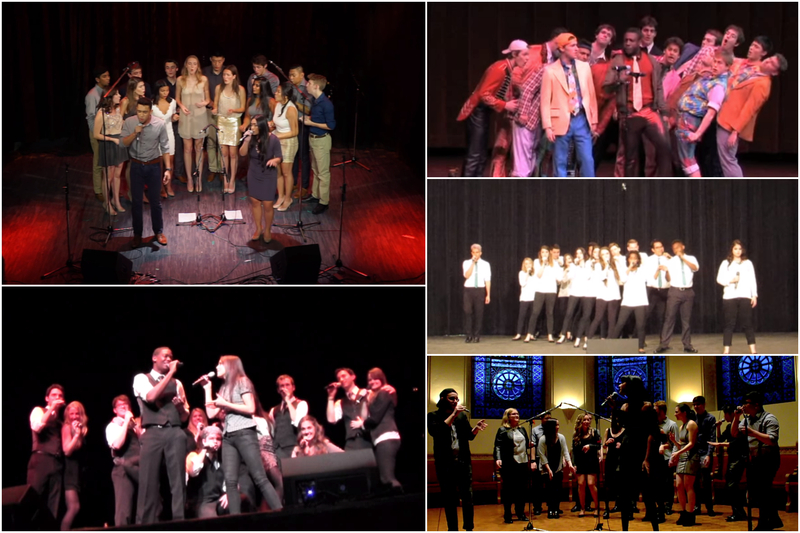 We're going to say it because it needs to be said...college a cappella needs more duets. There's something so insanely satisfying about two gifted musicians joining forces on a single song that ends up bringing the house down. Yes, oftentimes one singer is all it takes, but with so much talent, why not spread the love? What makes these moments even more special is when a group creatively arranges a solo song for two voices, catching an audience completely off guard. Dare I say it, there's no better feeling. In today's Top 5, we've compiled some of our favorite moments where groups took to heart the phrase of "two is better than one" and delivered a duet that left us floored. We're not talking your standard rinse and repeat arrangements. These performances will have you looking at these hit tracks in a way that you never thought was possible. As we've stated before, there's nothing better than the unexpected in a cappella. So, imagine hearing one of Queen B's most popular songs in the last few years transformed into a harmonically sound duet by some of the biggest players in a cappella. Well, you don't have to imagine as Pitch Slapped goes the distance and beyond with their award-winning rendition of "Love On Top." No other cover of this track does the song justice the way Pitch Slapped does. So yes it might be the poster child of duets in college acappella in the last few years, but the soul and feel of this version of "Like I'm Gonna Lose You" cannot be found elsewhere. The two leads are so powerful in their delivery, which is further complimented by the entire experience feeling like Sunday Morning Gospel. Okay, so this is not your typical duet, but it deserves every right to be on this list. Rap songs often get a bad rep for being too gimmicky, but there's no novelty in this cover of "All The Above" by the Dartmouth Aires. Original lyrics, high harmonies, and one heck of a lead singer in Michael "Nemo" Odokara-Okigbo. Yeah, we dare you to find a better rap duet. If you're wanting a duet that's a bit heart-breaking, while simultaneously being utterly remarkable, look no further than the UNT Green Tones. Covering Ariana Grande and Nathan Sykes, two of the biggest names currently in pop is no easy feat, but the coed aca-group does it with style. Not to mention that the group makes riffing look WAY too easy. We'll let you in on a secret...it's not. "I Don't Wanna Live Forever" - University of Toronto's "TBA: Tunes. Beats. Awesome." Sweet vocal chords and high notes! This T Swift and ZAYN cover by TBA has us feeling a certain way that we're not really allowed to say out loud. And that's what we love about duets, how they can be a bit sensual, magnetic and hip all at the same time. Take notes, this is how you command a performance.